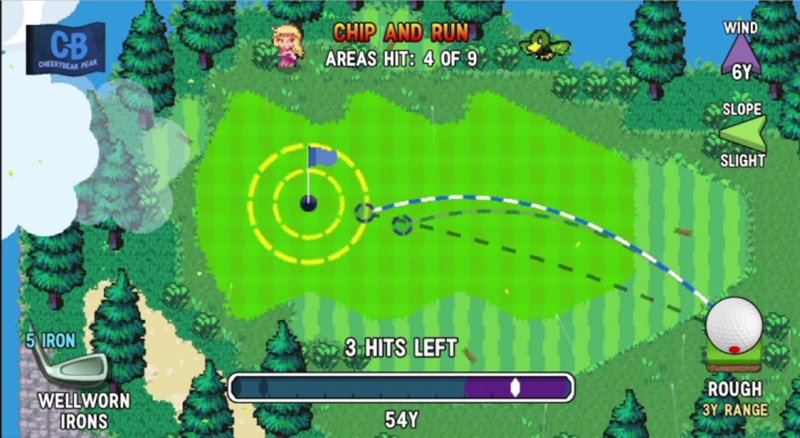 The Pixelated Golf Game We All Needed! First off, let me get this loud statement off my chest: OH MY GOD! Where has Golf Story been all my life? Let’s think back to the days of Golf for NES (Nintendo Entertainment System for all you young folk). The crisp sounds, the simplistic control system, the complex golf courses. Golf Story scratches an itch I have had for over 25 years. The developers, Sidebar Games, created a world I actually fell in love with and wish I could experience in real life. Not only is this a golf game but it also implements an uncomplicated RPG system that makes you feel like you are advancing your golf skills alongside the story. You are a semi-experienced golfer who watched their father grow up loving the game of golf. You want to follow in the footsteps of your father and prove to the world that you have what it takes to make it on the Pro Tour. You go searching for recognition. You search for a coach, friends, colleagues, existing pro golfers, anybody who will listen and watch you hit the ball off of the tee. You want to make it so badly that you will do anything. This may sounds like a basic story for any sports-driven title but I assure you this is much more than that. Golf Story is built around getting you to explore different areas where you can play golf on unique stages. You can play high up in the sky, surrounded by prehistoric fossils, in a snow-covered landscape and many other locales. The setting of each area actually changes how you play the game of golf. Each area also teaches you advanced skills that can improve your golf game as you come across all the different types of obstacles. Some areas will have birds, some will have puddles, some will place the holes on very tiny islands and some will even aid you in getting the ball closer to the hole by way of random critters. Just when you think that the game has nothing more to introduce, it surprises you. As you progress you gain experience points. These experience points are used to upgrade your swing in many different ways such as Power, Accuracy or Striking. You also gain currency to spend on things such as different drivers, wedges, putters, irons or even quest items for various NPCs. The story part of Golf Story is where this game truly shines. Not only do you have a grand cast of characters to interact with, but you also have mini-games you can take part in from each different area. Sometimes you will be asked to play Frisbee, lawn bowling or even take part in a foot race around a track. Wizard battles, longest shot challenges, house snooping, excavation and barrel smashing are some, but not all, of the events you can take part in. As you can see there is a lot to invest in. You can also get into some very witty conversations with some of the NPCs and this can be where the game shines. NPC interaction is not a main part of any golf game to-date. It really wasn’t needed. People buy golf games to play… golf. This is what makes Golf Story such an amazing experience. You want to talk to every single person in each area. The characters bring life to the story. You feel engulfed by hilarity and laugh-out-loud moments. One area even has a murder-mystery event that you take part in and it is definitely a great addition to an already joy-packed game. If there was any part of Golf Story that could use some fine-tuning it would be the controls. As simple as they are it can get very frustrating trying to rotate your shot. Rotating your shot is accomplished by moving the left analogue stick right or left. Changing your current golf club is accomplished by moving the left analogue stick up or down. You can probably already feel the frustration when trying to line up a shot. Thankfully you get used to these controls and the advanced controls that come with pushing down on the different bumper and trigger buttons. Not feeling up for a good story? 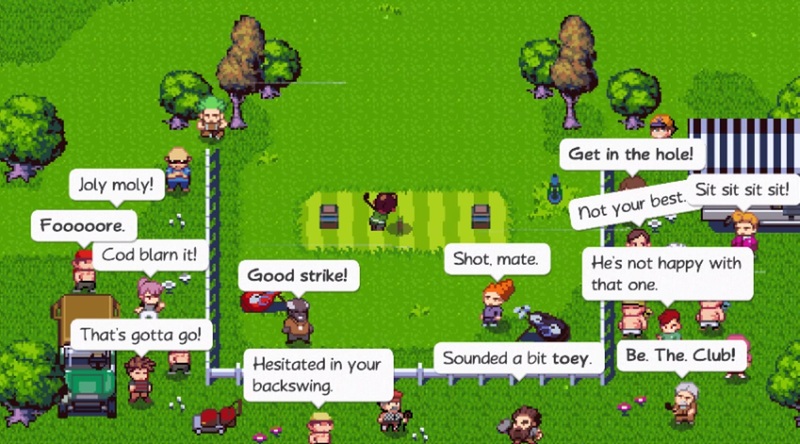 No problem, Golf Story has you covered with a Quick Play mode. You can play all of the courses just like the good old days of Golf for NES. Pick the course, pick some rules and go to town (or the course in this instance). 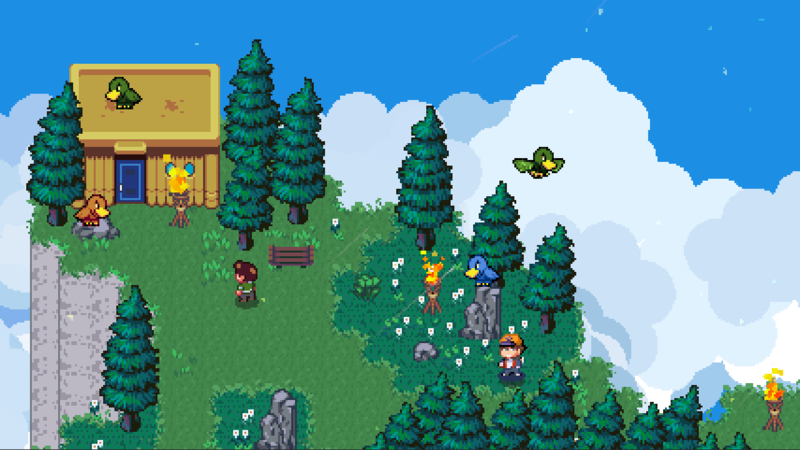 I already want more of Golf Story. They did something right here and the translation into different genres of sports might actually work in the future if it is done like this. When people speak of empathizing with a character and becoming that character throughout an entire play-through of a game they should take a deep-dive into this game and dig up some pointers. Any Nintendo Switch owner should pick this game up. It is an exclusive and a very good one at that.